This year, Flowking Stone has just been making statements in his songs, and only comes out with a single when necessary. Although that’s necessary, we missed the Flowking that made us dance. 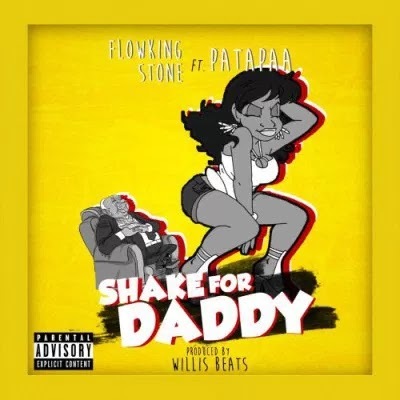 Here he is with “Shake for Daddy” which features the humorous “One Corner” hitmaker, Patapaa. He takes us to the dancefloor with Willisbeatz’ produced up-tempo song. Patapaa surprisingly drops some bars on it. Ladies and gents, we have a banger!! !